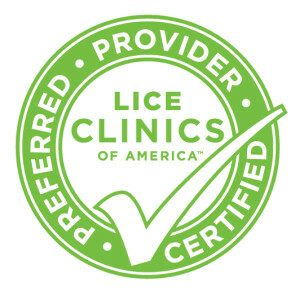 Super Lice Fighters Lice Clinics of America Rockville: Is it Head Lice or Dandruff? Is it Head Lice or Dandruff? A 2000 study by researchers at the Laboratory of Public Health Entomology at the Harvard School of Public Health (HSPH) found that healthcare workers, parents, and school officials often misdiagnose and inappropriately medicate head lice infestations. 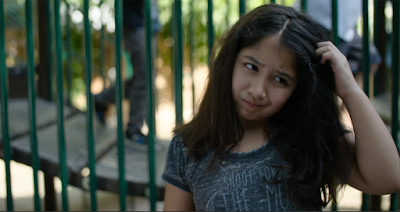 Parents are left scratching their heads, is it head lice or dandruff? The researchers asked readers to submit examples of what they thought were head lice or lice eggs. The readers completed questionnaires that also asked them to identify their relationship to the infested person (parent, nurse, etc.) and the measures taken to treat the perceived infestation. “An uncomfortably large proportion of the submissions had nothing to do with head lice, yet in every case someone suspected they were head lice or louse eggs,” said Richard Pollack, instructor in immunology and infectious diseases and lead author of the study. Of the 614 submissions, 41 percent had nothing to do with head lice, but instead were objects, often dandruff. Of the submissions that were associated with lice, about half seemed to be signs of infestations that were now extinct with dead lice being detected. Only active infestations (consisting of lice and/or live eggs) should be treated, the researchers said. Parents were the most likely to misdiagnose the issue. How do you know if your child has head lice or dandruff? First and foremost is the location of the detected substance. Lice lay their eggs about a quarter of an inch from the scalp—they need the warmth of the human body to incubate and survive. So, an egg found at that proximity would suggest an active infestation. Anything found farther away from the scalp would most likely be a dead egg or empty nit (from which a lice nymph has already hatched). Also, dandruff and other substances are likely to shake easily out of the hair. Lice eggs and nits on the other hand, are fastened tightly to hair strands and require a fine-toothed comb and nimble fingers to be removed. If you comb your child’s hair with a lice comb, wipe it on a white paper towel and look closely at what you have removed from the hair. Unlike dandruff, the lice eggs will look like dark specks with a tiny tail. The “tail” is actually the part where the egg was fastened to the hair. Anything moving on the paper towel would be a louse since dandruff, obviously, won’t crawl. Dandruff is a common form of skin eczema, also called Seborrheic dermatitis. It is believed that dandruff is caused by the continual production of oil on the scalp, which dries and turns into flakes. It is only called dandruff when the condition is on the human scalp. While it can take different forms, dandruff usually looks like thick flakes or scales (either white or yellowish in color), and can occur together with red, irritated skin. Neither dandruff nor head lice present any serious health risks. Lice don’t spread disease, and dandruff can be easily treated with a medicated shampoo. If lice are found, there are new treatments available that make getting rid of the bugs about as difficult as getting a haircut. 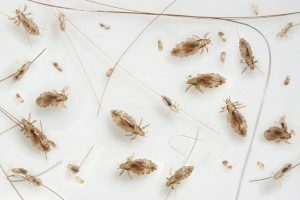 Lice Clinics of America has introduced a breakthrough in lice treatment in the form of its AirAllé device, an FDA-cleared Class I medical device clinically proven to kill live lice and more than 99 percent of eggs in a single treatment that takes about an hour.